T Sgt. Clifford F. Schulz, son of Mr. and Mrs. F. A. Schulz, attended school in Frederick and Weaver; husband of the former Lorene Smith. 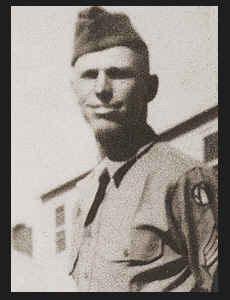 Entered Army in 1942, trained in Camp Carson, Colo., Louisiana, California, Camp Butner, N. C.; served in France, Luxembourg, Germany; was honorably discharged in Nov., 1945. Awarded Am. Theatre Ribbon, ETO Ribbon with two Battle Stars, Combat Inf. Badge, Good Conduct Medal.